ALL five Limerick junior clubs were in action today as the Munster Junior League division kicked-off for another season. Richmond travelled to Abbeyfeale and came away with a bonus point victory, Newcastle West had an expected victory over visitors Kanturk while St Mary’s travelled to Crosshaven but had to be content with a losing bonus point. 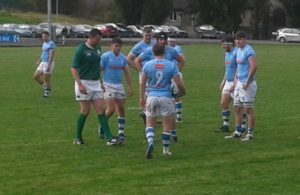 Galbally made the journey to Skibbereen but they too failed to secure an opening-day victory. 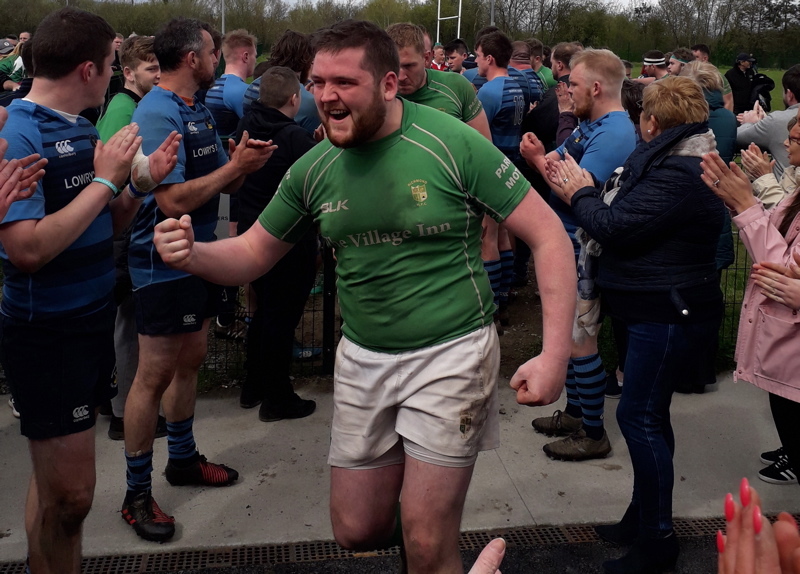 MJL1, Abbeyfeale 27, Richmond 38: This high-scoring game provided excellent entertainment for the spectators but it was the city side who came out best with a winning bonus point that gets their campaign up and running. Richmond had the better of the opening 40 minutes and fully deserved their 21-8 lead at the break. Three tries, two from the impressive Kieran Bennett and one from Adam Somers as well as three conversions from the boot of Tadhg Bennett set the Canal Bank side up for a five-pointer. Further Richmond tries in the second half from Stephen Collins and Corey Wells and two penalties and two conversions by the experienced Tadhg Bennett put paid to an Abbeyfeale surprise recovery, but they fought to the final whistle with a brace of late tries that gave them a losing bonus point. Scorers for Abbeyfeale were Derry O’Connor two tries, a penalty and a conversion and new signing Trent Reti from New Zealand one conversion. Winners of the McInerney Cup in early season, Richmond will be pleased with this performance and they singled out scorers Kieran Bennett and Adam Somers for stand-out performances. Crosshaven 19, St Mary’s 13: The Saints put up a really good show as they opened their division one league campaign with this tricky trip to County Cork. They had a blow to their chances during the warm-up when out-half Alan Kiely had to be withdrawn with a muscle injury. Alan was one of three St Mary’s squad members who had turned out with Shannon under 20s the previous day. While they will be disappointed not to get more than a losing point out of this opening fixture, the young ‘Saints’ can be proud of their efforts. They led 13-10 with 12 minutes remaining but three penalties from Crosshaven in those dying minutes changed the result dramatically. St Mary’s dominated the opening quarter but had nothing to show for a lot of possession. A try by Keelan Markham and a conversion and penalty by Paul Loughran saw the city side lead 10-5 at the break. Paul Loughran was again accurate from the tee as the sides were level at 13-13 but fortune nodded in favour of the home side in those closing stages. Next up for St Mary’s is a home game against Skibbereen next Sunday in Grove Island. Newcastle West 32, Kanturk 10: (Tim Mulcahy writes) Newcastle West opened their league campaign with a solid bonus point win at their home grounds in Cullinagh. Playing with a strong breeze they opened their account with a try coming from an inside break by new centre Taliolega Tuaau who passed to Sean Neville. The full-back threaded a grubber kick behind the Kanturk backline and Michael Bourke scored his first league try in the corner in the fourth minute. A skip pass on the halfway line from scrum-half Sean Herlihy released Taliolega Tuaau to score his first league try for the home side on twenty minutes. Kanturk were putting the home side under pressure in the scrums and it was from this tactic that the visitors were awarded a penalty which was slotted over by Ronan OBrien. 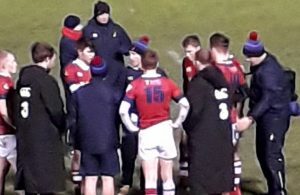 Sean Herlihy had the last say in the first half when he kicked a long-distance penalty to leave Newcastle West leading at half time 13-3. Sean Ivess was next to get on the board with and outstanding try after good work from forwards Keelan Headd and Alan O Riordan gave him the space to run in under the posts and give Herlihy the opportunity to kick the conversion for a 20-3 lead. The home side were far from dominant and the youthful Kanturk were creating opportunities. A great individual try from Ronan O Brien was touched down under the posts and he added the conversion himself to reduce the lead to 20-10. Declan Moloney joined the game and steadied the home pack and after an exciting phase of play which saw the NCW pack carry the ball through twenty phases, scrum-half Sean Herlihy scored in the corner. Herlihy was being provided excellent second phase position and he made great use of it by getting his forwards to carry short pass ball. He kicked the ball forward and, supported by the strong running backline, robbed possession from the Kanturk centre to score under the posts. A good performance by NCW which gives them a vital home victory at this first hurdle. Final score, Newcastle West 32, Kanturk 10. Newcastle West: Michael Bourke try, Taliolega Tuaau try, Sean Ivess try, Sean Herlihy two tries, two conversions, one penalty. Kanturk Ronan O Brien penalty, try and conversion. Squad; Ger O Flaherty, Sean Corbett, Alan O Riordan, Gerald Griffin, Aaron O Brien, Keelan Headd, Jason Woulfe, Sean Herlihy Capt., Tommy Kelleher Jnr, , Ed Powell, Sean Murphy, Michael Bourke, Sean Ivess, Sean Neville, Ben Geary, Shane Magner, Dave Foley, Taliolega Tuaau, , Brian O Sullivan, Damián Kelly, Kenneth Browne.